I was about to call the title of this story as “Not One Less camera ensures everyone gets shot”, but the use of the verb here proved to be rather insensitive at this time of bereavement for folks who are grieving at Newtown. Well, capturing photos with a camera would come across as second nature to many by now, but there is one caveat – most of the time, group photos tend to miss out on the photographer him/herself, and this is what designer Ji Lin hopes to solve with her ‘Not One Less’ camera design. This concept will see the camera sport dual lenses – one in front, and one at the back, where it will capture the group portrait while simultaneously snap a photo of the photographer – all at the same time when the shutter button is pressed down. 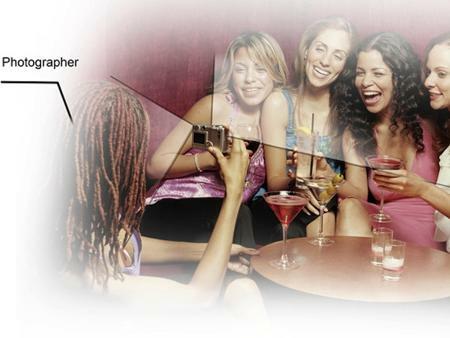 Following that, the Not One Less camera will get to work by superimposing the photographer’s image into the main photo. This is a 2012 IF Design Talents entry, and it remains to be seen whether such a concept has the kind of wings to take off on a commercial scale.